Why would I need self storage in Lake City, GA? There are a variety of reasons why you might need self-storage in Lake City, GA.
How much is a storage unit in Lake City, GA? The cheapest storage unit in Lake City, GA is $42.00 per month. What size storage units do you have available in Lake City, GA? In Lake City, GA we have sizes that range from 5'x5' to 10'x30' to suit your storage needs. How much is it for a 5'x5' storage unit in Lake City, GA? The cheapest 5'x5' storage unit in Lake City, GA is $42.00 per month. Lake City is a very small city in central Georgia just 15 miles south of Atlanta. The few thousand residents in this small town enjoy a pleasant life with many of the conveniences of a larger city. Lake City sits in a natural area surrounded by wonderful parks and outdoor recreation, north of Clayton State University and close to Fort Gillem Army Base. Considered a bedroom community, Lake City is home to cozy neighborhoods with tree-lined streets and suburban-style homes built mainly during the 1970s and 1980s. Most homes feature large yards with plenty of trees for shade, ideal for families with children or pets. Several mid-size cities surround Lake City including Forest Park, which is just five minutes away by car. 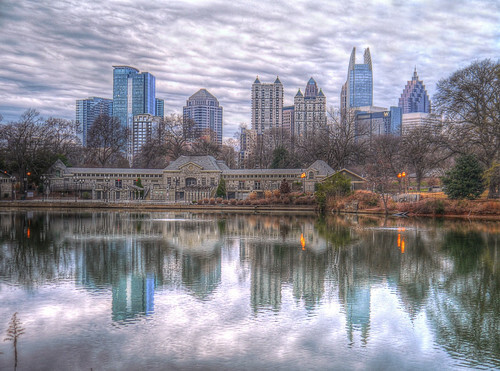 You can find a variety of jobs in Forest Park, downtown Atlanta, on the military base or at the nearby Hartsfield-Jackson Atlanta International Airport. To the north and south you will find several shopping malls, restaurants and other modern conveniences. The convenient location of Lake City puts both amenities and jobs within easy reach. Even though Lake City is a very small town, it makes the most of its scenic location and the pleasant Georgia weather with its community park and nearby nature preserves. Right next to Lake City is the Willie Oswalt Nature Preserve, a 29-acre park featuring an artificial lake, hiking trails and several species of birds and aquatic animals. The preserve has built-in observation areas perfect for bird-watching and nature photography. Smaller parks like Conley State Park and Panola Mountain State Park are just a short drive away. If you'd rather stay close to home you can visit Lake City's community park. The park features a children's playground, picnic areas and a large pavilion that you can rent for special events. Clayton County Public School District manages the schools in and around Lake City, providing education for elementary, middle and high school students. The Lake City Christian Academy is the city's only private school, but there are several other campuses nearby. Utilities: Lake City homes receive electricity from Georgia Power, while water is provided by the county. Garbage and Recycling: Waste Management provides weekly collection of trash, recyclables and yard waste. Transportation: The MARTA transit system is the nearest public transportation option for Lake City. Because Lake City is so small, there's a limited supply of homes, but you can typically find at least a handful of options to choose from. You also have the option of renting, though apartments are few in the area. On average, the median home and rent prices in Lake City are far less than the surrounding cities. Our lowest priced units in Lake City, GA average $42.00 per month. 56 people have reserved units in Lake City, GA in the past 30 days. There is 1 location within Lake City, GA's city limits.